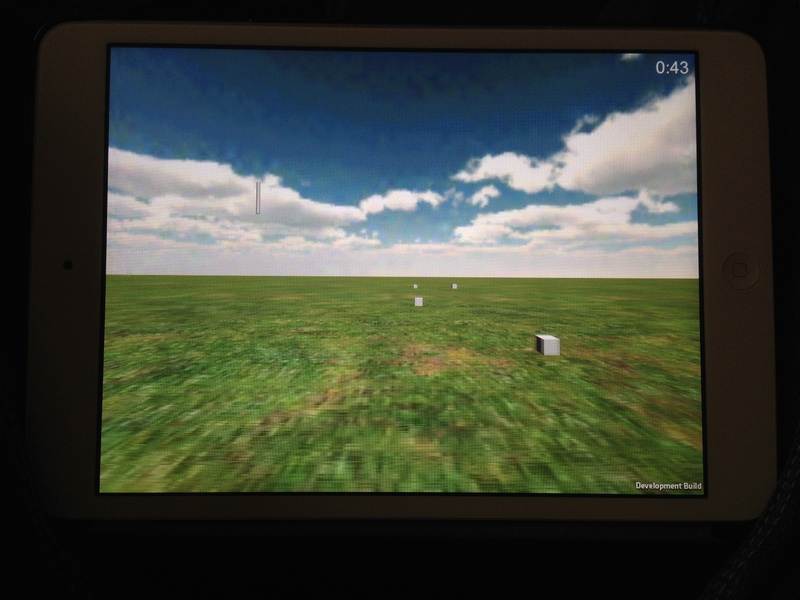 Here’s project dandelion working on my iPad mini. The timer works well, and accelerometer is ok, but needs a bit of tweaking. The only problem I’ve ran into so far is working with the iPads accelerometer. When the app first loads up, it grabs the iPads current accelerometer speed on the y-axis, and subtracts that from all further movements. This works fine for allowing the user to keep the iPad in the initial orientation they had, but means moving down on the y-axis is very slow, as it has less room to choose from. This should be fixed soon.